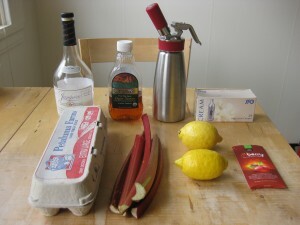 Spring is rhubarb season. A rhubarb gin fizz with miracle berry is my variation of iNG Restaurant’s rhubarb whiskey sour. It starts sour then turns sweet, thanks to the miracle berry. The gin fizz is a laborious cocktail to make. It requires vigorously shaking a cocktail shaker, almost to exhaustion, to build up a good foam. Thankfully, modernist tools provide a shortcut. 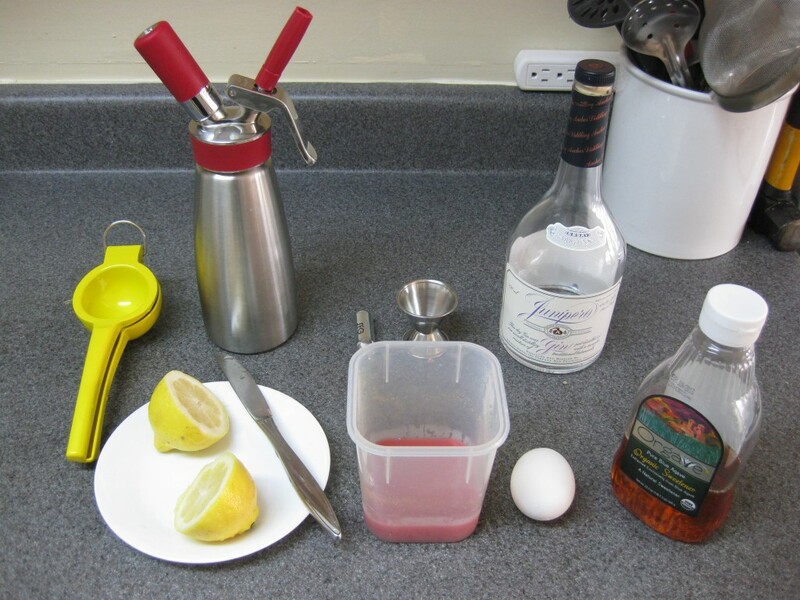 The gin fizz uses raw egg whites to create foam. Raw egg whites have a low incidence of salmonella (only 1/20000). 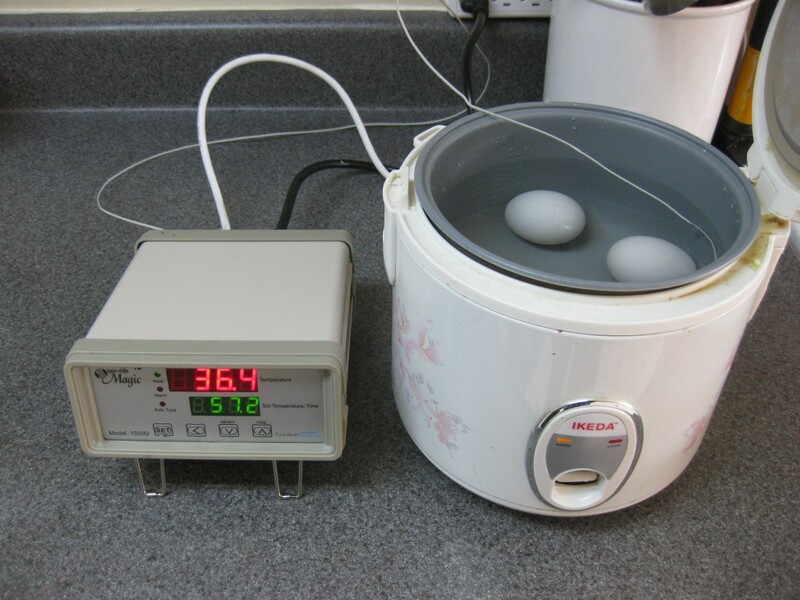 We can completely eliminate this risk by pasteurizing eggs in a sous vide water bath at 57.2 C for 75 minutes. The egg whites will be translucent, but they will still whip up properly. I pasteurized the eggs to be safe, but feel free to skip this step (after all, how many times have you eaten raw cookie dough?). The next step is to juice the rhubarb. iNG restaurant blended the rhubarb and then strained the juice. This works, but you need a proper chinois for fast drainage (my strainer was very slow). Instead, I used a champion-style juicer. 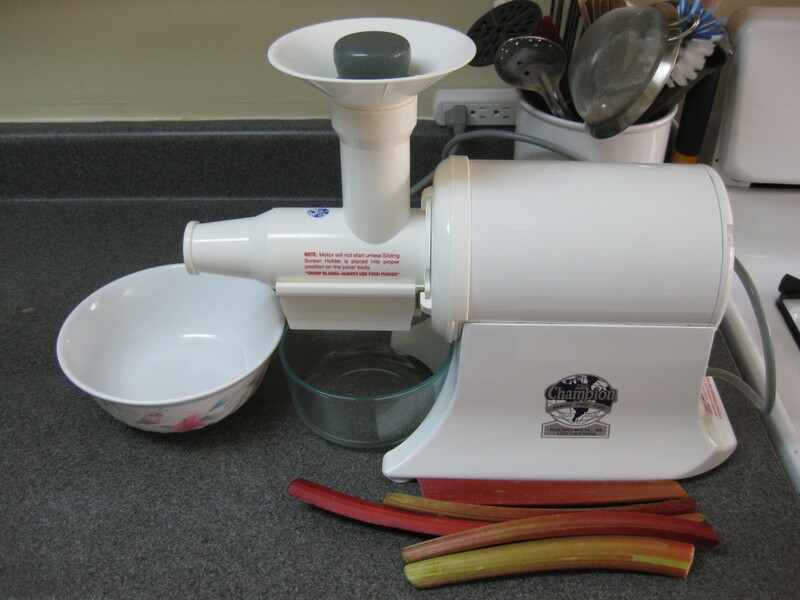 This eliminates chopping prep and produces a good yield, but it can only handle a few stalks before the fibrous rhubarb pulp wraps around the teeth. A champion-style juicer works for a few drinks at home, but it doesn’t scale like a blender does for restaurant level production. Combine the gin, rhubarb juice, lemon juice, agave, and egg whites in an iSi whip. 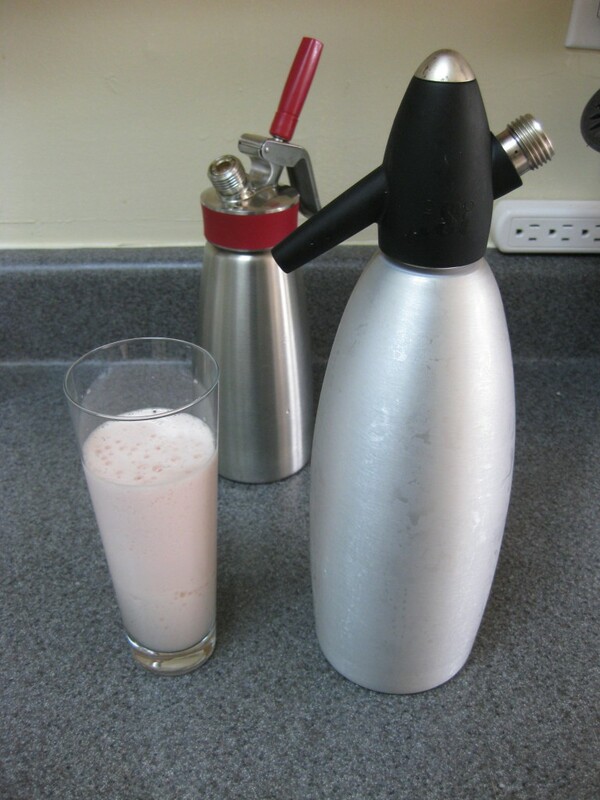 Charge with N2O and shake the whipper at least 20 times to incorporate the gas into the liquid. Discharge the foam into a tall glass. See how much easier that was than shaking a cocktail shaker forever? Top off with soda water. The foam should be so thick that a straw will stand up on its own. Taste the drink — it will be sour. 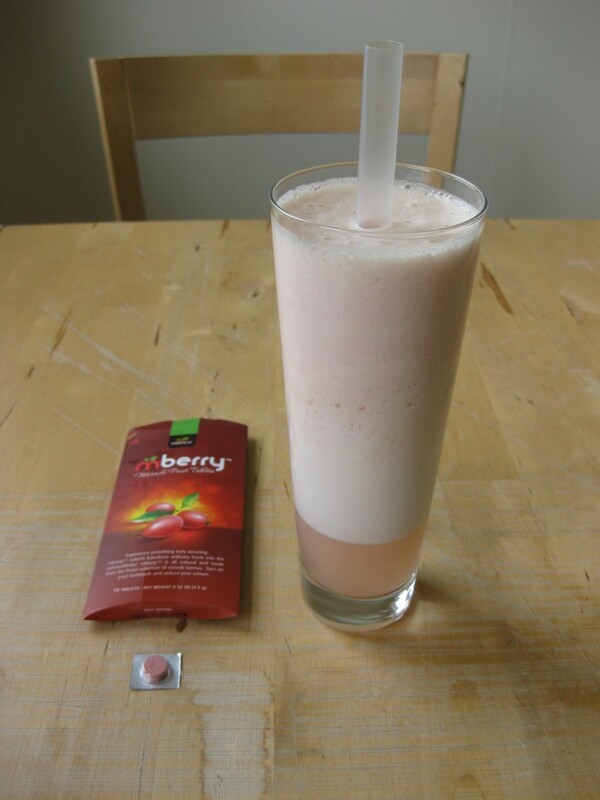 Now take out a miracle berry tablet and let it dissolve on your tongue. Taste the drink again — now it will taste sweet. Magical.